Enhance asset utilization by tracking devices nationwide, even when these vehicles are being used and are on the go. Improve service with better time management and quicker response times. The ASG devices for GPS tracking are durable and waterproof. There are both direct power and battery model options. These easy to install GPS devices allow a business a way to easily manage routing, manage time, and better manage fuel use. 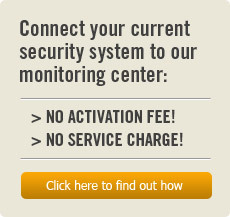 The ability to easily locate equipment improves overall security. Save money – Reduce fuel costs and the number of off-route miles by being able to monitor location and re-route on a near real time basis. Enhance asset utilization – Know where your equipment is located at any time and from almost anywhere in the world. Improve service and time management– Improve customer service and time management. Lower response times for disabled vehicles. Improve security – Know when your assets are on the move, what speeds they are going, and whether your equipment is being moved even while you are off the job. Asset tracking solutions are perfect for businesses that need the ability to locate and manage their highly mobile assets from the office or while in the field, without the high cost of expensive GPS systems. All of our dedicated GPS/GSM devices utilize the same powerful and intuitive End User Interface, so your experience will be the same no matter which device you choose.